A few days for the big encounter in the Kabylie city of Tizi Ouzou - the first Egyptian/Algerian encounter on Algerian soil since the unfortunate debacle. JSK lead the group with 6 points followed by Ahly with 4 points. Apparently, the bus carrying the Ahly team had a bit of a slide due to the rain. No one was injured thankfully and the bus was replaced by Algerian authorities. 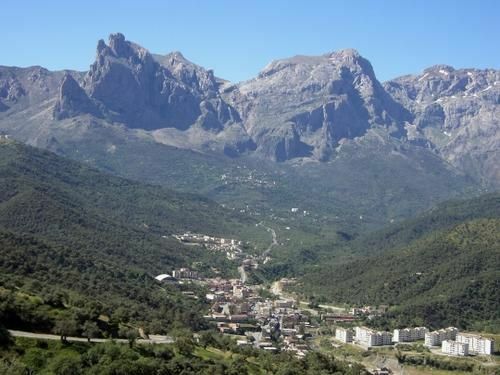 A bit about Tizi Ouzou, the city where Ahly is playing in Algeria. This city, surrounded by mountains, has a population of more than 100,000 inhabitants. The Kabylie name "Tizi Ouzou" translates into "hill of brooms" - brooms here meaning a certain type of shrubs that grow in Mediterranean regions. The football stadium where Ahly is playing is Stade 1er Novembre, with a capacity of 20,000. Egyptian bus attacked, Osama Hosni injured...details to come shortly.